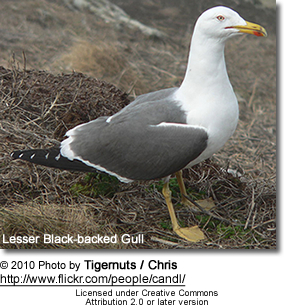 The only confusable species in Europe is Great Black-backed Gull. 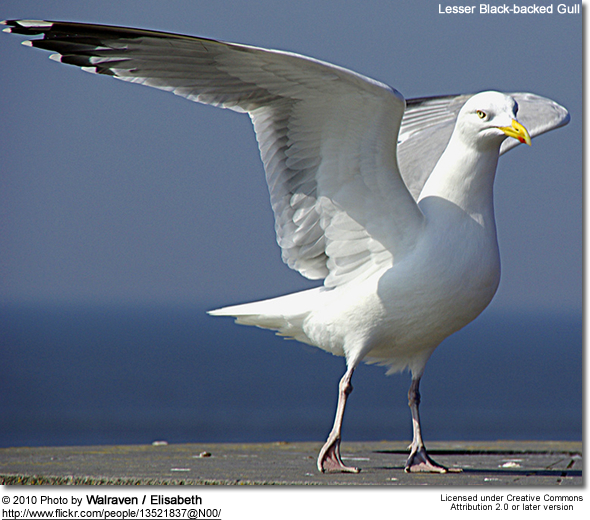 Lesser is a smaller bird, with slimmer build, yellow rather than pinkish legs and smaller white "mirrors" at the wing tips. 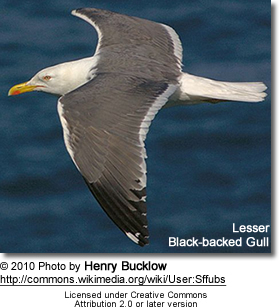 The adults have black or dark grey wings (depending on race) and back. 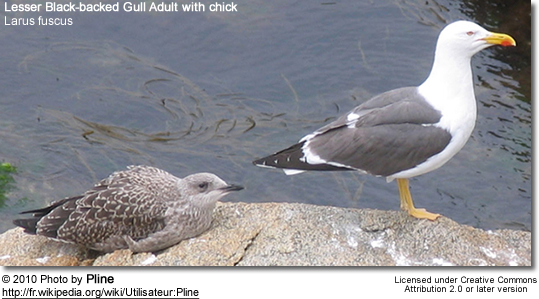 The bill is yellow with a red spot which young peck at, inducing feeding. The head is greyer in winter, unlike Great Black-backed. 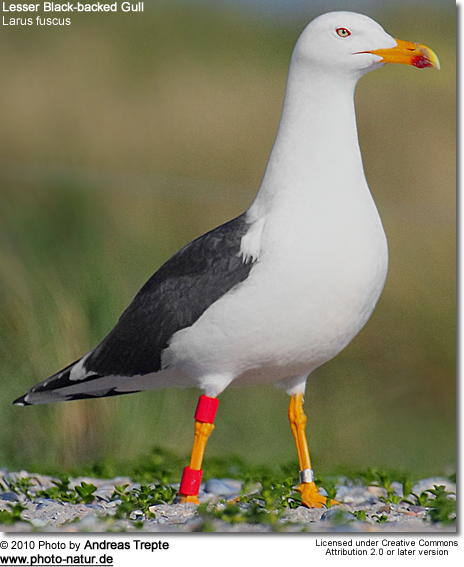 They are omnivores like most Larus gulls, and they will eat fish, insects, crustaceans, worms, starfish, mollusks, seeds, berries, small mammals, eggs, small birds, chicks, scraps, offal and carrion.